You simply cannot afford to ignore the advantages of the Posi-Joist system designed and fabricated by DWB Group. 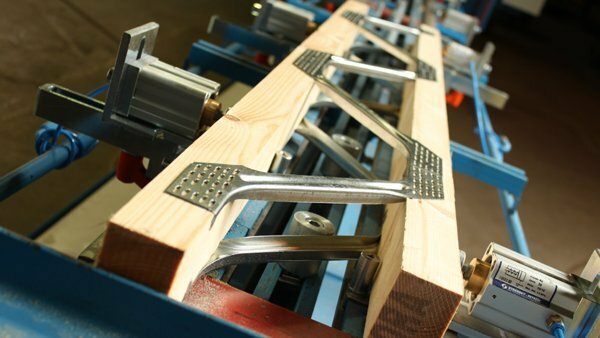 Pos-Joist combines the lightness of timber with the strength of the Posi-Strut steel web, you can span far greater distances than would be possible with alternative timber products. This gives you unequaled design freedom across a wide range of applications for both floor and roof in domestic, industrial and commercial applications. The Posi-Joist allows a variety of internal room layouts within an external shell due to its clear spanning abilities. Exceptional floor performance from a minimum 72mm wide fixing surface makes flooring easy, controls shrinkage and with precision engineering, it reduces tiresome return visits and remedial work. More benefits such as unique open web design provide an area in which plumbers and electricians will find it easy and convenient to work. The job will be done far more quickly and the contractor makes worthwhile savings. Even on long spans, no herring-bone strutting is necessary with the Posi-Joist system. If the span exceeds 4m, a strong back is installed midspan. The Posi-Joist does not just joist floors – it can adequately span flat and pitched roofs. Its span capability and timber flanges make it more desirable alternative to all steel systems. 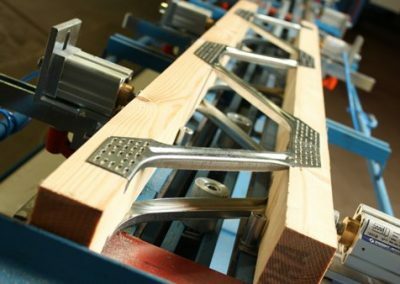 Posi-Joist standard details are published along with the DWB/Mitek World of Floor Technology and are available to download here. Posi-Joist is the only open web joist system suitable for use with the Screedflo Acoustic Flooring System. This results in a floor which performs like a solid concrete floor in a lightweight structure. Please see the document library for further information on these systems.